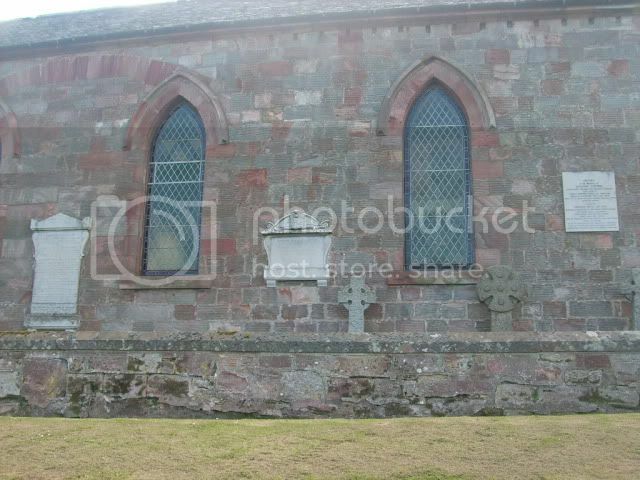 There are 2 CWGC stones and a few other family ones in the Churchyard and one in the cemetery. Innerwick is a coastal parish and small village, which lies in the east of East Lothian, 5 miles from Dunbar and approximately 32 miles from Edinburgh. Innerwick is just off the A1 south of Dunbar (take the road signposted for Innerwick, Crowhill and Oldhamstocks, then take the left fork at the "Y" junction). 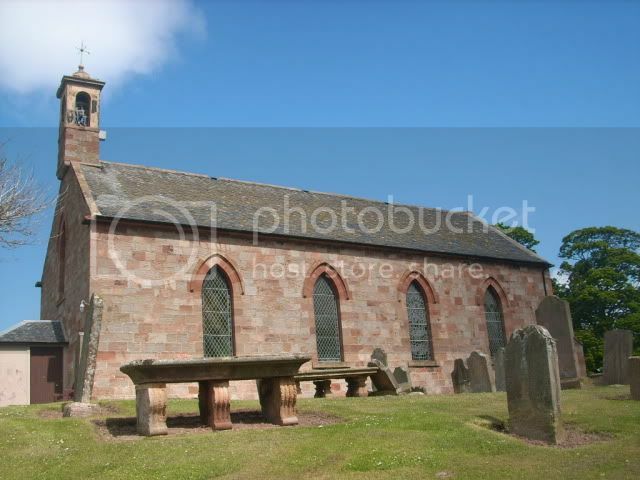 The church and surrounding churchyard is on a hill in the middle of the village. 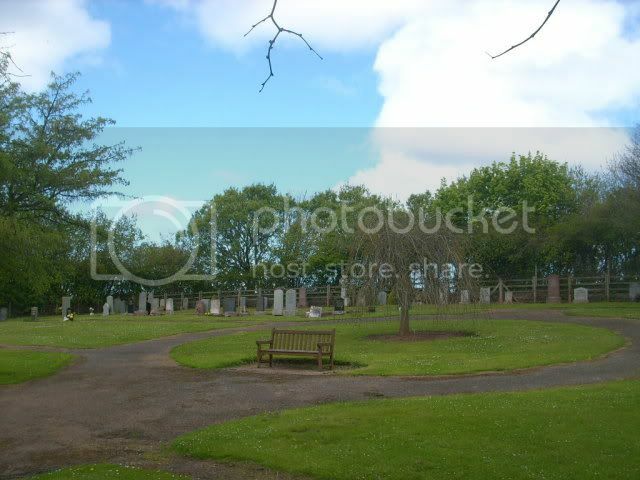 To reach the "new" cemetery you continue on the road through the village and when you come to a "T" junction take a right follow the road till you come to an other "T" junction, take a right then 1st left down the side of a house, follow the road a short distance and the cemetery is on your right. Innerwick Castle was originally a Stewart stronghold, then passed to a grandson of Walter fitz Gilbert de Hamilton, and remained in the Hamilton family, until its destruction. Alongside nearby, Thornton Castle, a fortalice owing allegiance to the Earls of Home, it was destroyed after a siege by the invading forces of the Duke of Somerset, during the Rough Wooing. The village itself is not of great antiquity; the old primary school, village hall and Parish Church all date from around 1784. The majority of the buildings created at this time are made from sandstone. A large number of the buildings in Innerwick are listed as having architectural or historical importance. The village and surrounding area have been designated as a conservation area, which strictly controls development in the surrounding area, helping the village stay as small and well preserved as it is. It has an outdoor centre which was formerly the old school and schoolhouse. This has recently undergone refurbishment and modernisation and is regularly used by schools in the county, as well as groups from further afield. 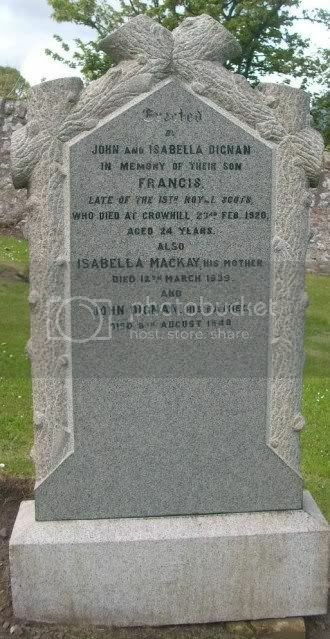 Additional information: Son of John and Isabella Dignan, of Crowhill, Innerwick. Born at Dolphingsion, Prestonpans. Grave/Memorial Reference: In North-West corner. 231. 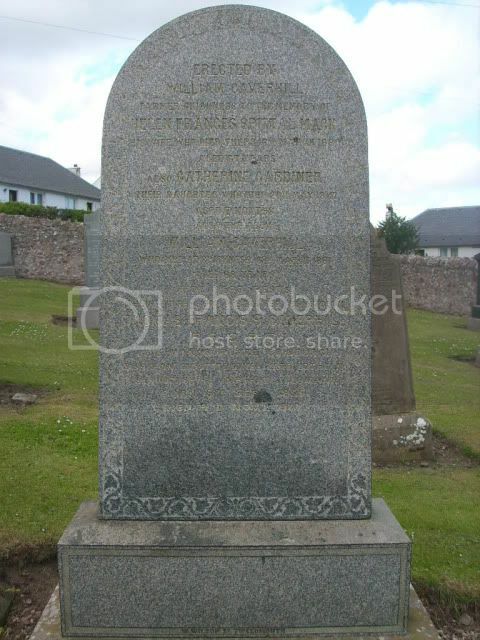 Erected by John and Isabella Dignan in memory of their son Francis late of the 15th Royal Scots who died at Crowhill 23rd Feb 1920 aged 24 also Isabella MacKay his mother died 12th March 1939 and John Dignan his father died 8th Aug 1948. Additional information: Son of George and Mary Porter; husband of Mary Jane Porter, of Thorntonloch. 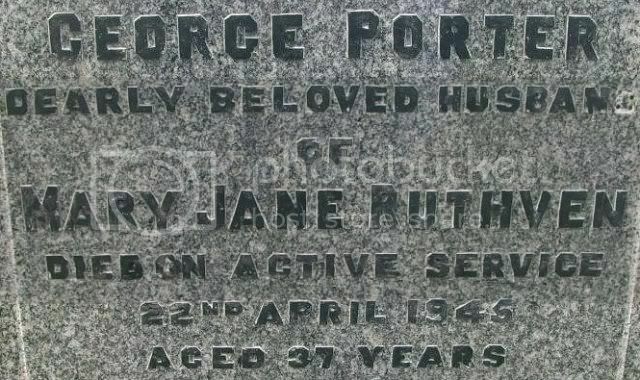 In fond remembrance of George Porter dealy beloved husband of Mary Jane Ruthven died on Active Service 22nd April 1945 aged 37 also the above Mary Jane Ruthven died 28th May 1918 aged 74. 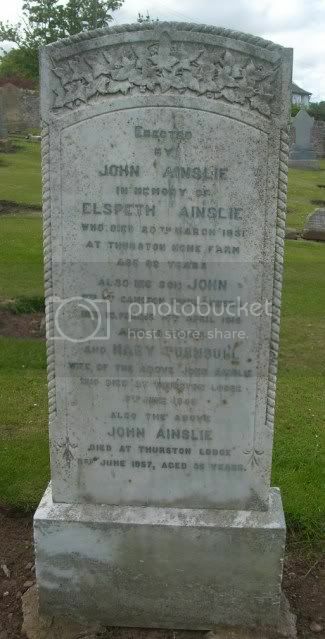 Additional information: Son of John and Mary Ainslie, of Newbyth, Prestonkirk, East Lothian. Grave/Memorial Reference: I. A. 81. Erected by John Ainslie in memory of Elspeth Ainslie who died 20th March 1931 at Thurston Home Farm aged 83 also his son John Pte 1st Cameron Highlanders died in France 16th april 1915 aged 18 and Mary Turnbull wife of the above John Ainslie who died at Thurston Lodge 9th June 1948 also the above John Ainslie died at Thurston Lodge 3rd June 1957 aged 95. Additional information: Son of George and Helen Robertson Angus. 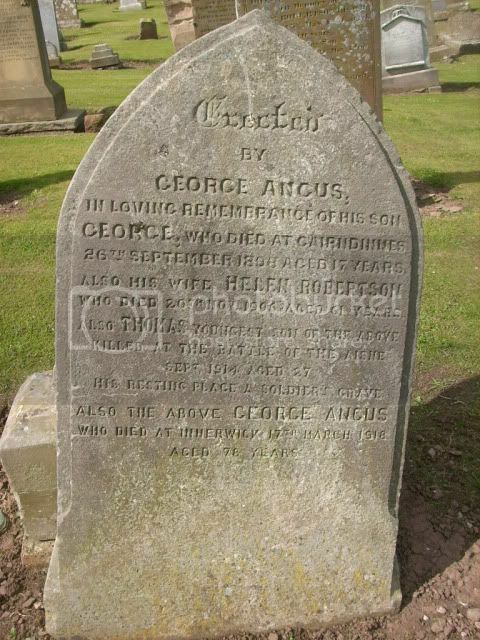 Erected by George Angus in loving remembrance of his son George who died at Cairndinness 26th Sept 1903 aged 17 also his wife Helen Roberts who died 20th Nov 1906 aged 61 also Thomas youngest son of the above killed at the Battle of the Aisne Sept 1914 aged 27 his resting place a soldiers grave also the above George Angus who died at Innerwick 17th March 1918 aged 78. 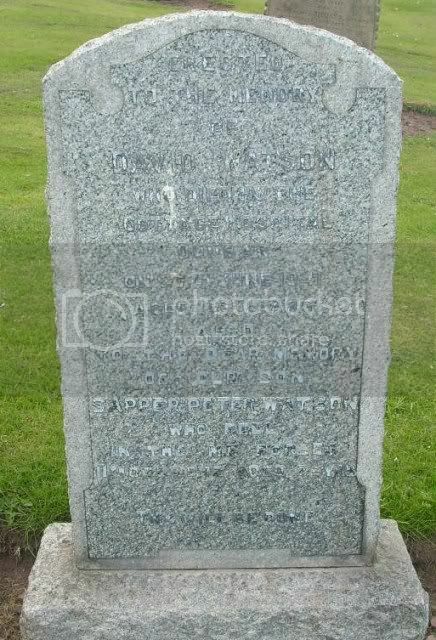 Additional information: Son of Mein and Elizabeth Golightly, of Thornton Lock, Innerwick, East Lothian. Grave/Memorial Reference: I. B. 10. Erected in loving memory of Mien Golightly who died at Templemains Innerwick 22nd Dec 1927 aged 69 also his sons William, Andrew and William who died in infancy and his son John Walker 2nd Gordons Killed in Action 31st July 1917 aged 22 buried in Ecoust-St=Mien France also Elizabeth Walker wife of the above Mien Golightly who died at Eastbarns 18th March 1936. 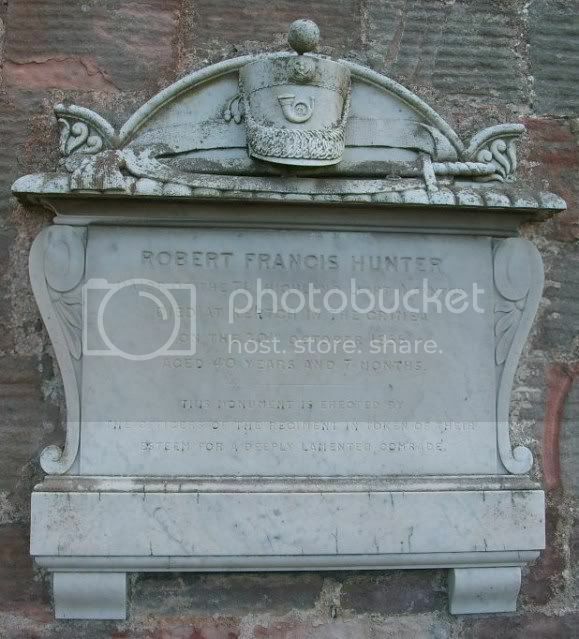 Additional information: Son of William and Isabella Hill, of Biel North Lodge, Dunbar, East Lothian. Born at Mountalban, Coldingham. Grave/Memorial Reference: XIV. A. 7. 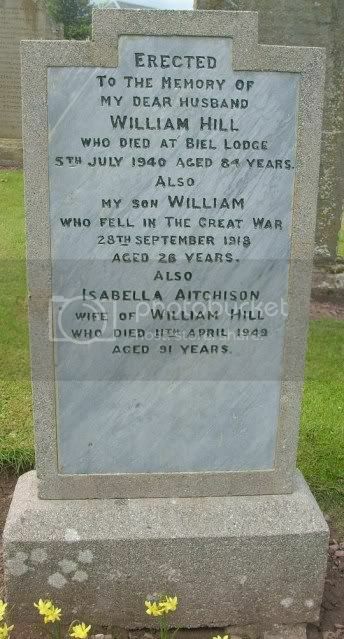 Erected to the memory of my dear husband William Hill who died at Biel Lodge 5th July 1940 aged 84 also my son William who fell in the Great War 28th Sept 1918 aged 26 also Isabella Aitchison wife of William Hill who died 11th April 1949 aged 91. Unit Text: 274 Field Coy. 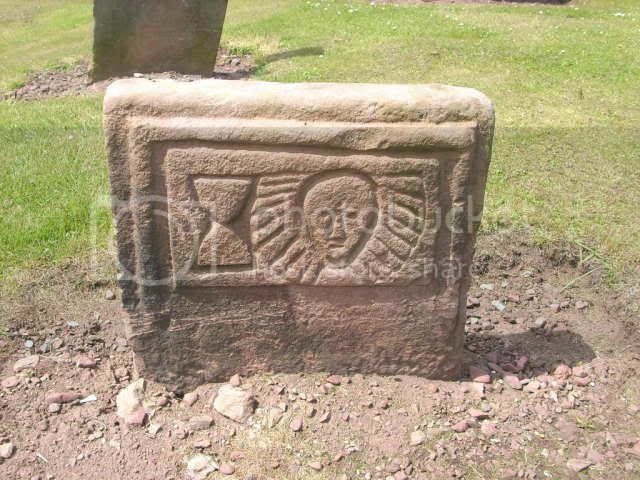 Additional information: Son of James and Mary Jane Bald Watson of Morebattle Mains, Roxburghshire. Erected to the memory of David Watson who died in the Cottage Hospital Dunbar on 27th June 1941 aged 69 also to the dear memory of our son Sapper Peter Watson who fell in the M.E Forces 11th Dec 1942 aged 26. NB. 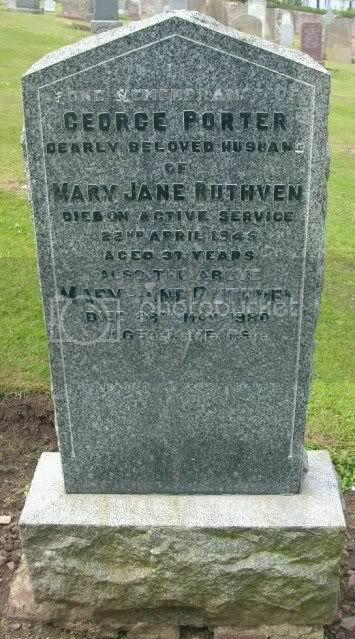 That the parents names on the grave stone differ from that on the CWGC details. I have checked all the P Watsons and this is the only one killed in 1942. According to SNWM site the above Peter Watson was born in East Lothian and killed in the Middle East. 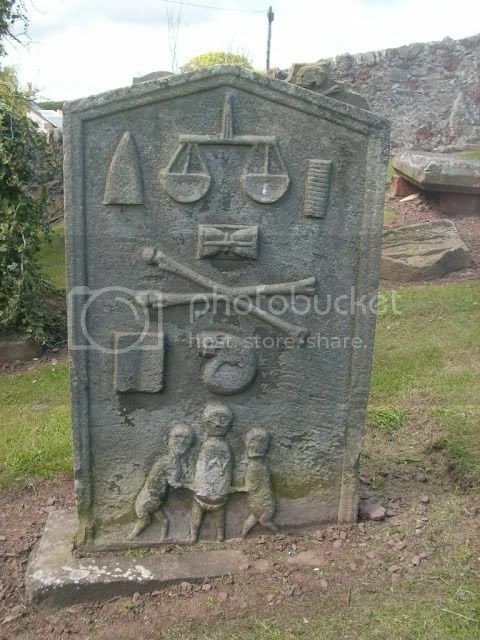 The Hunter Family stones on the side wall of the church. (Stone on the left of 1st picture). Erected to the memory of James Hunter Esq of Thurston who died at Leamington Warwickshire on the 3rd Dec 1844 aged 61 years and 7 months also of John Alexander Hunter 4th son of the above James Hunter Esq who died near Vizanacram in the East Indies on 9th July 1848 aged 27 years and 8 months. 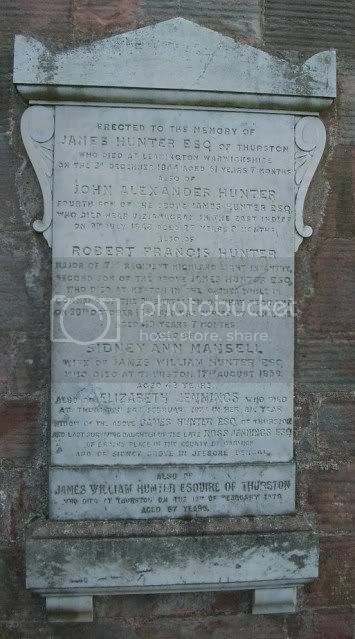 also of Robert Francis Hunter Major of 71st Regt Highland Light Infantry 2nd son of the above James Hunter Esq who died at Kertch in the Crimea while in Command of the 2nd Battalion of thet Regt on 30th Oct 1855 and was buried at Yenikale aged 40 years and 7 months, also of Sidney ann Mansell wife of James William Hunter Esq who died at Thurston 17th aug 1859 aged 42 also Elizabeth Jennings who died at Thurston 26th Feb 1874 in her 81st year widow of the above James Hunter Esq of Thurston and last surving daughter of the late Ross Jennings Esq of Brocks Place in the County of Warwick and of Sidney Grove in Jessore Bengal, also of James William Hunter Esquire of Thurston who died at Thurston on the 10th of Feb 1879 aged 67. (Stone in the middle of the 1st picture). 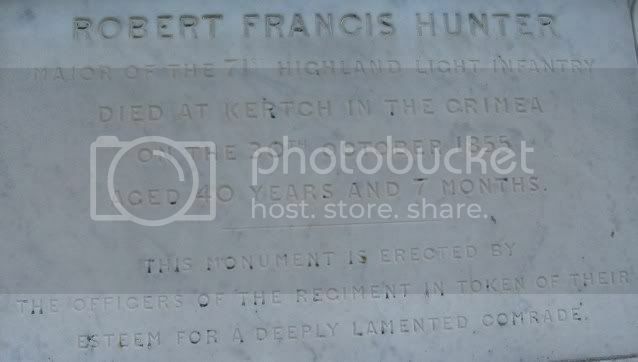 Robert Francis Hunter, Major of the 71st Highland Light Infantry died at Kertch in the Crimea on the 30th Oct 1855 aged 40 yeras and 7 months. This monument is erected by the Officers of the Regiment in token of their esteem for a deeply lamented comrade. (Stone on the right of the 1st picture). 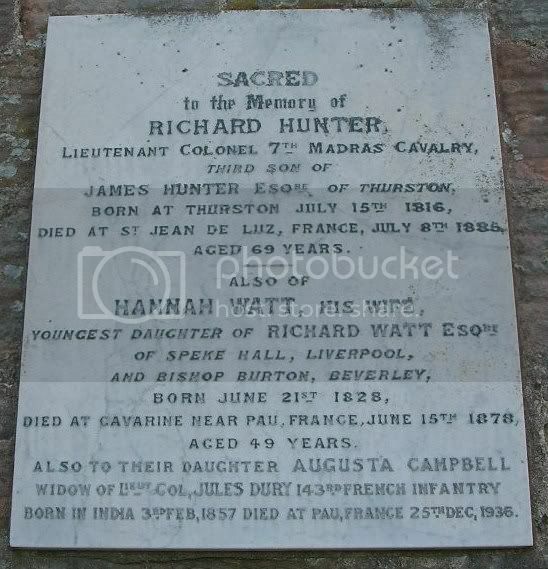 Sacred to the memory of Richard Hunter, Lieut Colonel 7th Madras Cavalry, 3rd son of James Hunter Esquire of \thurston, born at Thurston July 15th 1816 died at St Jean De Luz France July 8th 1885 aged 69. Also of Hannah Watt his wife, youngest daughter of Richard Watt Esquie of Speke Hall Liverpool and Bishop Burton Beverly born June 21st 1828 died at Cavarine Near Pau France June 15th 1878 aged 49 also to their daughter Augusta Campbell widow of Lieut Col Jules Dury 143rd French Infantry born in India 3rd Feb 1857 died at Pau France 25th Dec 1936. Erected by William Caverhill, Farmer Grighness to the memory of Helen Frances Spittal Mack his wife who died there 19th March 1880 aged 67 also Catherine Gardner their daughter who died 26th May 1847 aged 7 months also the above William Caverhill who died at Grighness 6th March 1881 aged 68, here also rest their 5th son, A beloved Physician Thomas Caverhill FRCPE of 6 Manor Place Edinburgh, Surgeon Lieutenant Colonel late Lothian and Berwickshire Imperial Yeomanry born 8th Sept 1855 died 4th Nov 1910. Surgeon-Capt T F S Caverhill, Lothian and Berwickshire Yeomanry is promoted to be Surgeon- Major June 4th. 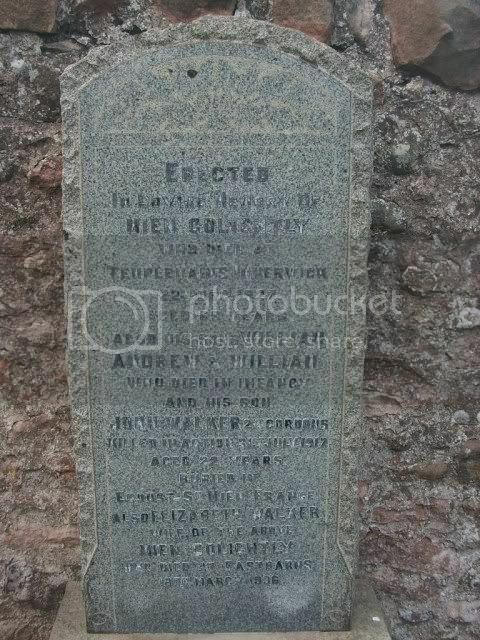 Lothian and Berwickshire, Surgeon- Capt T F S Caverhill to be Surgeon-Major dated 4th June 1898. Imperial Yeomanry, Lothian and Berwickshire. Surgeon- Lt Col T F S Caverhill is granted the honorary rank of Surgeon- Colonel dated 27th Sept 1905. Surgeon- Lt-Colonel and Honorary Surgeon-Colonel T F S Caverhill resigns his Commision with permission to retain his rank and to wear the prescribed uniform, dated 27th Sept 1905. OBITUARY FROM BMJ Nov 19th 1910. THOMAS FRANCIS SPITTAL CAVERHILL, M.B., C.M., F.R.C.P.E., EDINBIURGH. 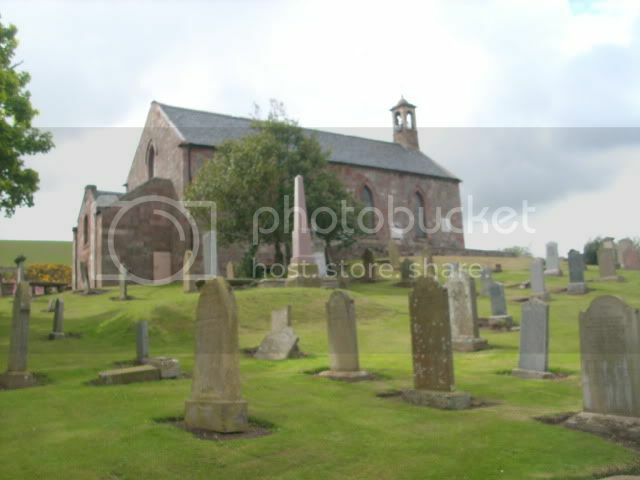 of the history, legends, songs, and ballads of the Scottish borders. The writer will not soon forget a day he spent with him in visiting the Manor Valley Sanatorium, the Black Dwarf's Cottage, and other points of interest in Peebleshire. He talked incessantly and in the most interesting way. Till his health began to fail he had a large and important practice among the better and upper classes in Edinburgh and its neighbourhood, who held him in high esteem. He was never married. The cause of his death was highly marked arterio-eclerosis. 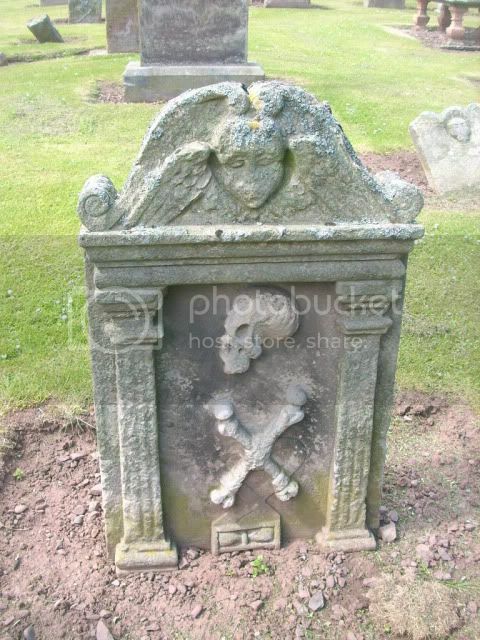 In Dr. Caverhill Edinburgh loses a conspicuous figure. 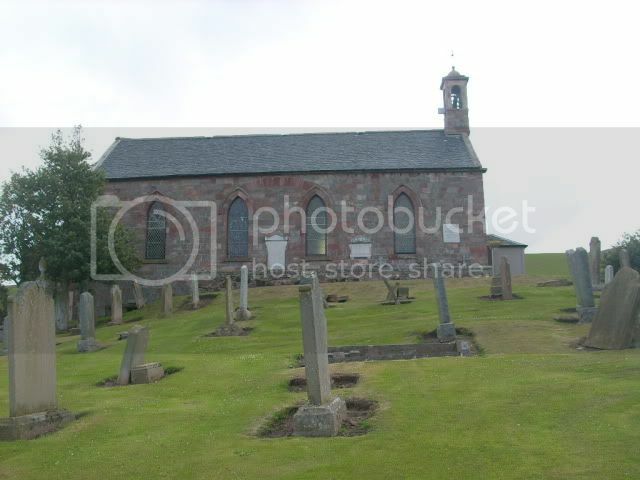 The funeral took place on Tuesday, November 8th, at Innerwick Churchyard. There was a large gathering of friends from Edinburgh, East Lothian, and Berwickshire. 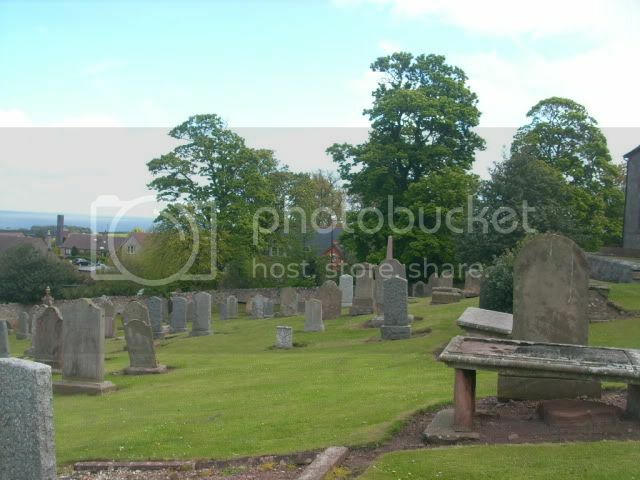 Innerwick "New" Cemetery. There are no CWGC stones here, but there is a WWI family stone. 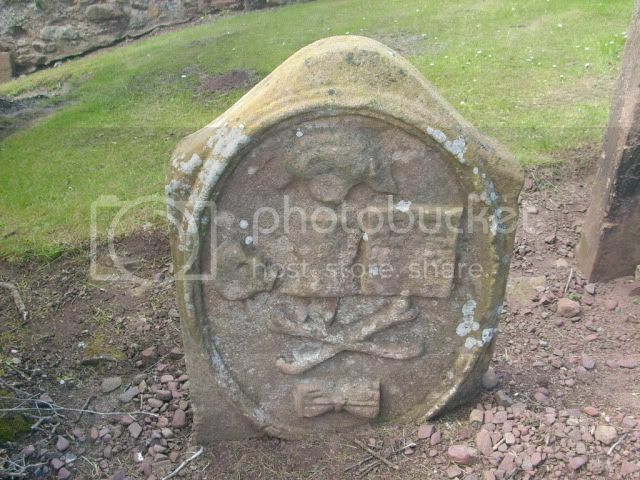 Additional information: Son of the late David and Isabella Skeldon, of Oldhamstocks, Cockburnspath, Berwickshire; husband of Helen Skeldon, of East Pinkerton, Dunbar, East Lothian. 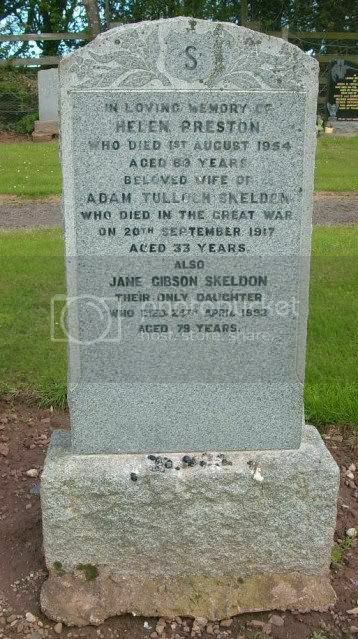 In loving memory of Helen Preston who died 1st Aug 1954 aged 69 beloved wife of Adam Tulloch Skeldon who died in the Great War on 20th Sept 1917 aged 33 also Jane Gibson Skeldon their only daughter who died 24th April 1992 aged 79.